Daniel joined Watsi on November 5th, 2014. Four years ago, Daniel became the 396th member to automatically support a new Watsi patient every month. Since then, 4,710 more people have become monthly donors! Daniel's most recent donation traveled 8,700 miles to support Nenglanget, a girl from Tanzania, to fund an amputation. Daniel has funded healthcare for 37 patients in 10 countries. 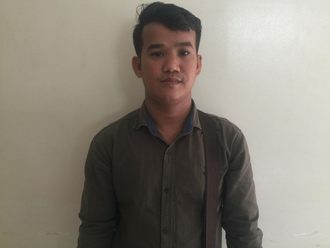 Sovannara is a 30-year-old teacher from Cambodia. He has five brothers and enjoys reading books. When he was ten years old, Sovannara had an ear infection. This infection caused the tympanic membrane, or the ear drum, in his left ear to perforate. For this reason, Sovannara experiences ear drainage, hearing loss, and pain. This condition makes it difficult for him to hear and teach his students effectively. Sovannara traveled to our medical partner's care center to receive treatment. On February 14, he will undergo a myringoplasty procedure in his left ear. During this procedure, surgeons will close the perforation. Our medical partner, Children's Surgical Centre, is requesting $423 to fund this procedure. This covers medications, supplies, and inpatient care. He says, "I hope that this surgery will improve my hearing, stop the ear discharge, and end the pain." Abraham is a hopeful and hard-working auditor from Malawi. He lives with his nephew and has been experiencing both financial and health difficulties for some time. Since July 2018, Abraham has been experiencing pain and failure to urinate. These symptoms are caused by an enlarged prostate, a condition called benign prostatic hyperplasia. He needs to undergo a prostate resection surgery, a procedure in which surgeons will remove part of the enlarged gland. Our medical partner, World Altering Medicine, is requesting $733 to fund Abraham's surgery. On January 31, he will undergo prostate surgery at Nkhoma Hospital, our medical partner's care center. The requested money pays for supplies, medications, and two weeks of hospital stay. He went to several government hospitals, which were unable to help him due to lack of equipment and supplies. He is relieved that he will finally be helped and should be able to go back to work soon. He says, "I have been struggling with these issues since 2016, and I am so grateful that God has blessed me with this assistance so that I can finally return to good health!" Nwe is a mother of a two-year-old daughter from Thailand. Currently, she and her husband both work as day laborers for local farmers, harvesting chilies and other vegetables. 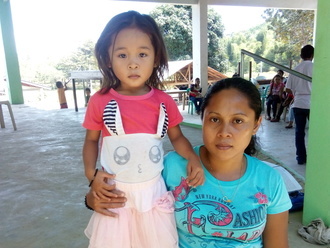 At home, Nwe enjoys spending time with and caring for her daughter. She also likes being employed and earning money. Nwe started to experience pain in her abdomen a year ago. The pain makes it difficult for her to move around and causes extreme exhaustion. She has been diagnosed with fibroids, which are benign growths in the uterus. She needs to undergo a myomectomy, a procedure in which surgeons will remove the fibroids. Our medical partner, Burma Children Medical Fund (BCMF), is requesting $960 to fund Nwe's surgery. She is scheduled to undergo her myomectomy on November 1 at BCMF's care center, Mae Sot General Hospital. Nwe says, "I hope for a healthy future where I can work and help provide for my family." Simon is a 60-year-old husband and father of four from Tanzania who also cares for four other children. Both Simon and his wife are subsistence farmers, and they are working very hard to put their children in school. Simon started to experience pain in his knees after an accident that he had back in the 80s when he was hit by a cow on both of his knees. While the pain was initially only occasional and could be palliated by painkillers, the pain has recently become much worse. Simon has been to several hospitals where they have told him that he needs surgery. On June 23, Simon will undergo total knee replacement surgery. His medical insurance is covering a portion of the cost, subsidizing $1,887. On top of that, our medical partner, African Mission Healthcare Foundation, is requesting $822 to help fund the rest of the treatment. Simon says, "I am glad I have found help. I have had this pain for so long, I will be so glad if I will no longer be in pain so that I may work hard for my children." Lens Clifford is a ten-year-old boy from Haiti. He lives with his mother, grandparents, and younger sister. He is in the 4th grade and is an excellent student. Lens Clifford was born with coarctation of the aorta, a cardiac condition in which the aorta is abnormally narrow making it difficult for blood to pass through it. He has been recommended for heart surgery, and will receive treatment at our medical partner's care center, Health City Cayman Islands. Although Have a Heart Cayman is contributing $17,000 to the cost of Lens Clifford's surgery, he is still in need of $1,500 to cover the cost of his transportation and heart surgery prep. On June 26, Lens Clifford will be transported to the Cayman Islands where he will be prepared for surgery. "I am excited for my surgery so that I can run and play as much as I want," says Lens Clifford. Ruth is a 14-year-old girl living in Haiti with her mother, grandmother, and sister. She enjoys going to school and church, and would like to study to become a nurse when she's older. Several years ago, Ruth contracted rheumatic fever, which caused damage to her heart. She developed a condition called mitral and aortic regurgitation, where blood backs up into her heart and does not properly circulate through her body. This condition causes Ruth to experience shortness of breath, painful breathing, fatigue, and swelling of the legs. If left untreated, her condition could be fatal. Seeking treatment through our medical partner, Haiti Cardiac Alliance, Ruth is scheduled to undergo heart surgery to correct her condition on July 10. Although Ruth's [transportation](https://watsi.org/profile/7b224fb3153e-ruth) to our medical partner's care center has already been funded by Watsi, she is still in need of $1,500 to cover the cost of her heart surgery prep. The organization, Have a Heart Cayman, is also subsidizing Ruth's surgery, donating $22,000 to cover the rest of her medical bills. "I am a little scared for my surgery, but I know that God will protect me and make everything go well," Ruth says. Htun is a nine-year-old Burman boy who lives with his family in Thailand. He has two older brothers and one younger brother. About eight months ago, Htun's mother noticed his right eye was becoming bothersome. It is irritated and sensitive to sunlight. He is unable to see clearly. After seeking treatment, Htun discovered he has cataracts in his right eye. With the help of our medical partner, Burma Children Medical Fund, he is scheduled to have the cataracts surgically removed on April 26. The family is seeking funds to pay for the $1,500 procedure. Htun's mother says, "I want him to have surgery soon. I hope he will be able to attend school once his eye has been treated." 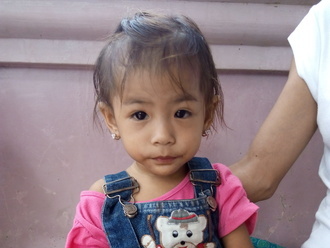 Zion Grace is a sweet four-year-old girl from the Philippines. She lives in a small community with her parents and four siblings. Her father works as a farmer and is the sole provider for the family. Zion Grace loves to entertain her family with her little singing voice. Zion Grace has been diagnosed with severe acute malnutrition. Malnutrition threatens her growth and development and could even be fatal if not addressed. Fortunately, she will begin $268 malnutrition treatment on February 22. 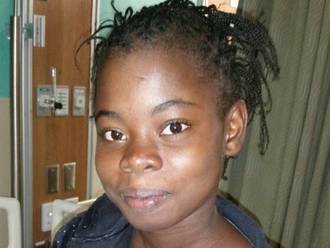 Zion Grace will be treated by International Care Ministries (ICM), a Watsi medical partner. One out of five children under five in ICM communities is either severely or moderately malnourished. Worldwide, poor nutrition is associated with nearly half of all deaths in young children. In remote communities and urban slums of the Philippines, the lack of clean water and unclean environments add risk to potentially fatal childhood diseases. ICM’s home-based feeding program provides nutrient-enriched food packs to ensure malnourished children get additional food to regain normal weight and achieve optimum physical and mental development. After identifying a child as malnourished, staff and community volunteers make weekly visits to monitor this child’s progress. To help sustain the health of the child, ICM’s professional staff educate the mother, guardian, or other family members about proper nutrition, sanitation, hygiene, and organic vegetable gardening. Zion Grace's mother is relieved to be receiving assistance. She says, "I hope that Zion can recover from malnutrition and that she will be healthy and will have good grades when she starts to go to school." Divine is a little girl from the Philippines. Her family lives near a rice field, and her father, Domingo, is a farmer. She loves to sing and play games with her siblings. Divine has been diagnosed with moderately acute malnutrition. Malnutrition threatens her growth and development and could even be fatal if not addressed. Fortunately, she will begin $184 malnutrition treatment on February 21. Divine will be treated by International Care Ministries (ICM), a Watsi medical partner. One out of five children under five in ICM communities is either severely or moderately malnourished. Worldwide, poor nutrition is associated with nearly half of all deaths in young children. In remote communities and urban slums of the Philippines, the lack of clean water and unclean environments add risk to potentially fatal childhood diseases. ICM’s home-based feeding program provides nutrient-enriched food packs to ensure malnourished children get additional food to regain normal weight and achieve optimum physical and mental development. After identifying a child as malnourished, staff and community volunteers make weekly visits to monitor this child’s progress. To help sustain the health of the child, ICM’s professional staff educate the mother, guardian, or other family members about proper nutrition, sanitation, hygiene, and organic vegetable gardening. Divine's mother says, "I am hoping that my child will gain weight and have a healthy body and become a successful teacher someday." Hadija is a 50-year-old mother of three from Uganda. Together with her husband, Sulait, she farms to grow food for consumption. For the past eight months, Hadija has experienced pain in her abdomen. After seeking treatment, she learned that she has gallstones. On March 15, Hadija will undergo laparotomy surgery to remove the gallstones. She will be treated at our medical partner's care center, Bwindi Community Hospital. Our medical partner, The Kellermann Foundation, is asking for $307 to cover the cost of Hadija's treatment. Hadija is contributing $4 towards her own care. “I am very grateful for the donors' support. May God bless you,” says Hadija.